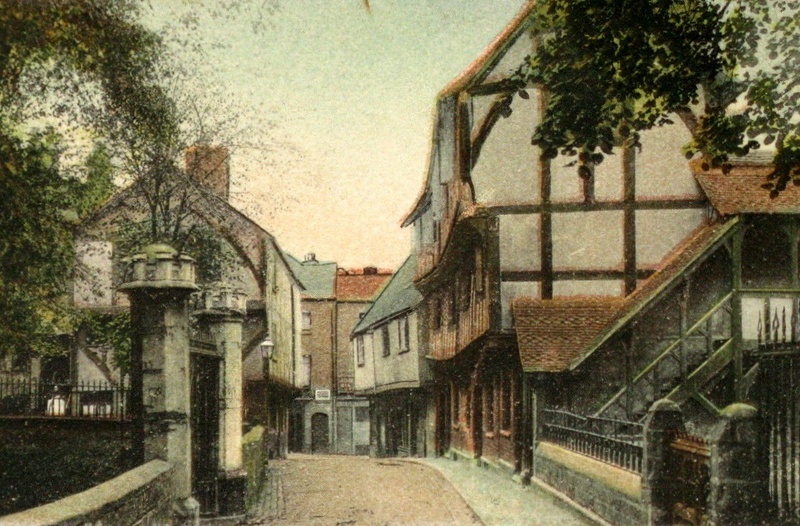 This old view of Priory Row shows buildings of Butcher Row across the end. The timber framed building on the left is one of those rears of Butcher Row that form one side of the alley Trinity Lane, you can see a lampost at the end of Trinity Lane. The big gate posts are to the grounds of Holy Trinity Church.